A handful of Dimes spent their weekend keeping active and lending helping hands at the 2014 Dexter-Ann Arbor Run. Thank you for your participation! Wave 8 skater Amber W. proudly poses with her 2014 DXA2 medal. Wave 8 skater Bionic PIN-up, who participated in the 2014 Dexter-Ann Arbor Run, poses with her family. 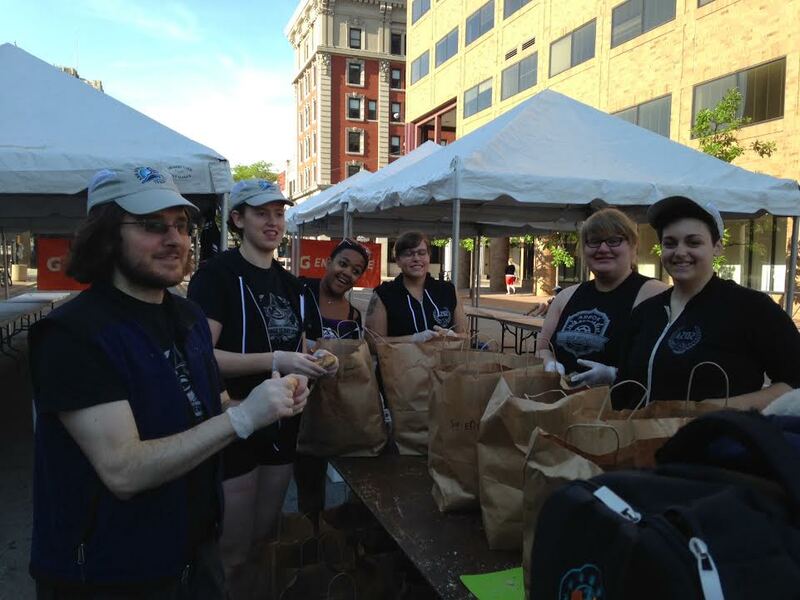 From left, Fracture Mechanics, Jacky O'Bashes, Michelle O'Bombya (Brawlstars), Mr. Bombya (friend of A2D2), Lucille Baller, Queen McLightning (Arbor Bruising Co.), and Technical Difficulty (A2D2 referee crew) volunteered in the 2014 Dexter-Ann Arbor Run. From left, Technical Difficulty (A2D2 referee crew), Fracture Mechanics, Michelle O'Bombya, Jacky O'Bashes (Brawlstars), Lucille Baller, and Queen McLightning (Arbor Bruising Co.) volunteered in the 2014 Dexter-Ann Arbor Run. Posted on June 1, 2014 by Ann Arbor Derby Dimes.